Curry leaves are one of the main seasoning ingredients of every Indian dish. 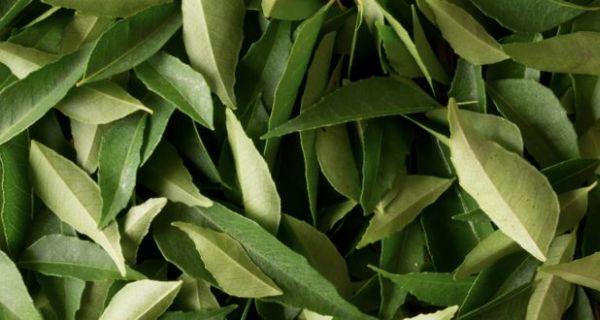 There are numerous health benefits of curry leaves that you simply can’t ignore. Curry leaves (kadi patta in hindi) are packed with numerous nutrients such as carbohydrates, fiber, calcium, phosphorous, irons and vitamins. Right from helping you control diarrhoea to enlivening the texture of your hair and skin, curry leaves provide most of the essential health benefits. So, let’s find out these health benefits of curry leaves more in detail. Curry leaves are leaves of the curry tree which belongs to the family Rutaceae. The curry tree is found in tropical and sub-tropical regions, native to India and Sri Lanka. The height of the plant ranges from short to medium. Commonly used as seasonings, curry leaves enhance the flavor and taste of your dish. These leaves have always been sought for cooking and its medicinal properties. Curry leaves are used as a herb in Ayurvedic medicine and believed to possess properties such as anti-diabetic, antioxidants, antimicrobial, anti-inflammatory, anti-carcinogenic and hepato-protective. 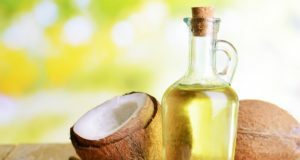 They are also used in soap making, air fresheners, body lotions and industries of perfumes because of its aromatic properties. Curry plant propagates via seed and cuttings. Curry plant is perennial plant, it can survive more than 2 years in the wild. Apart from the leaves, young shoot of curry plant are also edible. They have slightly bitter, sage-like taste. The scientific names of curry plant is Murraya koenegii. Curry plant produces small yellow flowers arranged in flower heads on top of the flowering stems. Nearly, zero fat is found in leaves of curry plant. The other important chemical substance found in curry leaves are carbazole alkaloids. These alkaloids include mahanimbine, murrayanol, mahanineoenimbine, O-methylmurrayamine A, O-methylmahanine, isomahanine, bismahanine and bispyrayafoline. Research studies show that these chemicals possess antioxidant, insecticidal and antimicrobial properties. Apart from being the flavoring agent, curry leaves provide various nutritional benefits to your body. Curry leaves help in combating an upset stomach. The carbazole alkaloids present in curry leaves are known to have anti-diarrheal properties. So, to get rid of diarrhea, gently crush a bunch a curry leaves and drink it with butter milk. Curry leaves help in digestion and cure gastrointestinal issues. The importance is maximized due to its mild laxative properties. This helps in the digestion process and also aids the stomach to get rid of unwanted waste. Make curry juice, add lime juice and drink it can be taken every morning. Anemia is caused due to inability of your body to absorb iron and use it. Curry leaves are a rich source of iron and folic acid. Folic acid is mainly responsible for iron absorption and hence curry leaves become a natural remedy for fighting anemia. Curry leaves are known to lower bad blood cholesterol (LDL). The antioxidants in curry leaves prevent the oxidation of this cholesterol and in turn increase the level of good cholesterol like HDL. The potential to reduce LDL cholesterol protects the blockage in your blood vessels and cuts the risks of heart diseases. Chemical constituents like phenol, found in curry leaves are helpful in fighting various types of cancer. Research on these leaves showed evidence of cancer-fighting properties. According to some studies, curry leaves are also radio-protective and chemo-protective. 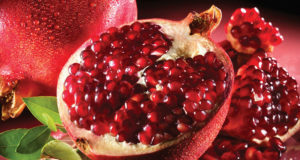 They reduce the damage of chromosomes, protect bone marrow, and prevent the production of free radicals in the body. One of the important health benefits of curry leaves is for diabetes. They help in balancing your blood sugar level by affecting the insulin activity. A type of fiber found in curry leaves also play a significant role in lowering the blood sugar level. Curry leaves are also beneficial for protecting the liver from damage. The carbazole alkaloids present in curry leaves exhibit hepato-protective properties. They protect the liver from oxidative stress and harmful toxins. With constituents like vitamin A and C, curry leaves not only protect the liver but also improve the functions of this organ. Curry leaves possess anti-bacterial, anti-fungal and antiprotozoal properties, which are helpful for skin care. They are the best remedy for dealing burns, cuts, bruises, skin irritations, and insect bites. Curry leaves contain a significant amount of vitamin A and is good for your eyesight. Carotenoids in vitamin A protects the cornea (the eye surface). Curry leaves help in strengthening the roots of hair and therefore treats damaged hair, hair fall and dandruff. They have also been known to prevent graying of hair. For this, you can either eat the curry leaves or apple paste of it on your scalp. You can get all these benefits by eating raw curry leaves in the morning on an empty stomach. The benefits of dried curry leaves and with boiled water have also been sought by many people. Additionally, curry also helps in weight loss. It improves digestion and alter the way of fat absorption which leads to fat loss. Sounds amazing, isn’t it?